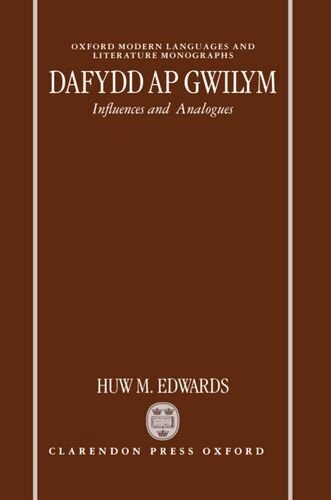 Dafydd ap Gwilym was one of the great innovators of medieval literature. His poetic voice is as distinctive and resonant as those of his more celebrated contemporaries Chaucer and Boccaccio. This book--the first major study of the largely submerged popular verse tradition of medieval Wales--examines Dafydd's use both of the native popular verse tradition and of the pervasive conventions of northern French verse to forge a new kind of poetry for a new age.